Wendy, Michael, and John are sleeping when the window of their nursery blows open and lets in a boy, Peter Pan, and his fairy, Tinker Bell. 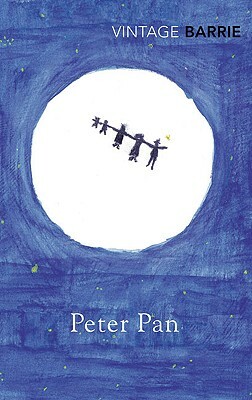 But Peter soon entices the three children from their beds and out through the window to Neverland. There, they encounter mermaids, fairies, the Lost Boys, and the Indian princess Tiger Lily and her tribe; and do battle with a villainous gang of pirates and their leader, the sinister Captain Hook, in a magical adventure which has enchanted generations of children and adults. J. M. Barrie (1860-1937) based his most enduring work on the five Llewellyn Davies boys, to whom he was legal guardian. First performed as a play in 1904, Peter Pan immediately captured the imagination of both children and adults alike--so much so that Barrie reissued the play in novel form in 1911. "Intensely moving as well as enchanting in its evocation of childhood, the heartlessness of youth and parental grief as children grow older."